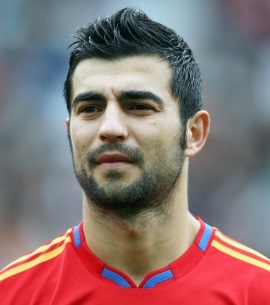 Valencia CF have been after Raul Albiol since last year with the club coming really close to getting the player, as they agreed personal details with Albiol, but Napoli were relentless and did not back down from their high transfer fee, ultimately forcing Valencia CF to look elsewhere, which it found in Ezequiel Garay. Ultimately Valencia CF paid an even bigger transfer fee for Ezequiel Garay, coming in at about 25 million euros, but at the time he was valued higher than Albiol and it's only after we sold Mustafi and got close to 50 million euros for him. Valencia CF new coach Marcelino has asked the club to bring in Raul Albiol as one of his top reinforcements, as he looks to build a very strong back line and build the team from the back onwards. Marcelino wants to have a very strong back line that rarely concedes goals as a means to become competitive again. I think Raul Albiol will be a great signing, he is kind of similar in style with Garay, so there might be a little bit of overlap here, a somewhat faster CD is usually the prefered option to an experienced and positional CD like Garay, but if Marcelino wants him and thinks it can work, then I'm all for it.